This month we've got updates from Double Your Freelancing Europe, The Freelancing Conference, TBEX America, DIY Musician Conference, and a new podcast for freelancers by Christopher Hawkins. Double Your Freelancing Conference Europe will be on 16 - 19 June, once again in Stockholm, Sweden at the Yasuragi Hasseludden Japanese resort & day spa. Speakers include Dr Sherry Walling, UI/UX consultant Jane Portman and Brennan Dunn. New to the list, the DIY Musician Conference is 25 - 27 August in Nashville, Tennessee & run by CD Baby. Past speakers include Jack Conte (CEO of Patreon) and Bob Boilen (host of NPR's All Songs Considered). Early bird tickets are $69 until April 27. Also new, The Freelancer Conference is on 7 - 9 September in Austin, Texas. Topics include selling for introverts, refining your gig pitch, mastering Upwork, and growing while staying a solo freelancer. TBEX (Travel Blog Exchange) America is in Huntsville, Alabama this year on 4 - 6 May. This year's event is at the Von Braun Center, with a theme of "We've Got Space". Business Of Software Europe (5 - 6 June) have announced new speakers: Jon Reynolds, the CEO of Swiftkey, and Jason Eckenroth, the founder of ShipCompliant. Meanwhile at Business Of Software USA, Joanna Wiebe will be speaking about copywriting and writing persuasively. 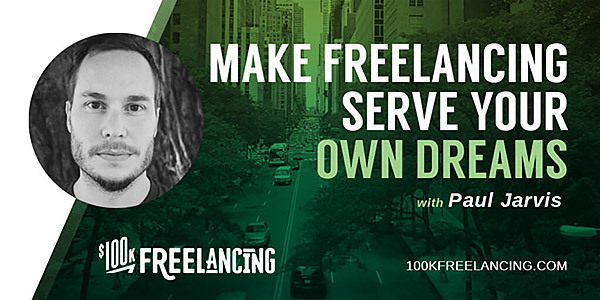 Instead of a conference video, this month I wanted to give a plug for Christopher Hawkins' new podcast series, $100K Freelancing. It's now a weekly podcast, with 12 episodes already released. It emphasizes tactics over inspiration, and interviews with people like Paul Jarvis (author of The Good Creative), Jane Portman of UI Breakfast and Marie Poulin of OkiDoki. Conference for gamers, indie developers, industry professionals and lets players. Friendly, inclusive conference for web & software developers, emphasizing community. For cross-platform Xojo programmers, at the Ellington Hotel in Berlin. Microsoft's official conference for Windows developers. For serious indie iOS developers. All about casual mobile games for phones & tablets & social platforms. Includes an Indie Prize & Dev Showcase.